M Harvey Hair offers the full range of hair styling and services delivered by experienced stylists who believe in keeping up with the latest techniques by continuing professional training. We are competitively priced as one of the top Salons in Exeter, please call for prices. We recommend you have a free consultation before you come so that you and your stylist can explore what you are looking for. We can also carry out a colour skin test during this if required. So call now to arrange your first visit. 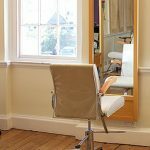 M Harvey Hair is a small, select and chic salon located in a delightful historic building on Exeter’s Quay. Here you will find an oasis of style and professionalism where the cut and the colour are paramount, not the minutes. Copyright 2017 M Harvey Hair | All Rights Reserved.